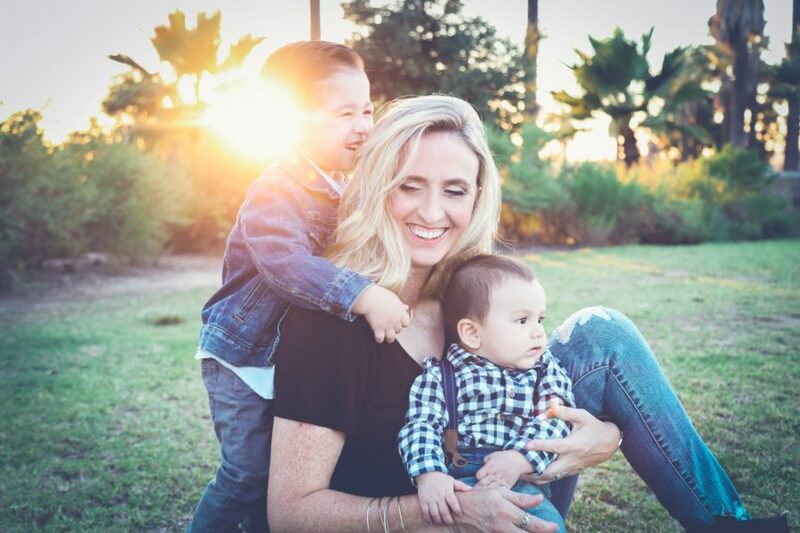 We love giving gifts, from special birthdays, christenings and treats to say ‘I love you’, we know there is no better feeling than giving a gift you know they’ll love. That is why we are super excited to share our fabulously festive Christmas collection with you. 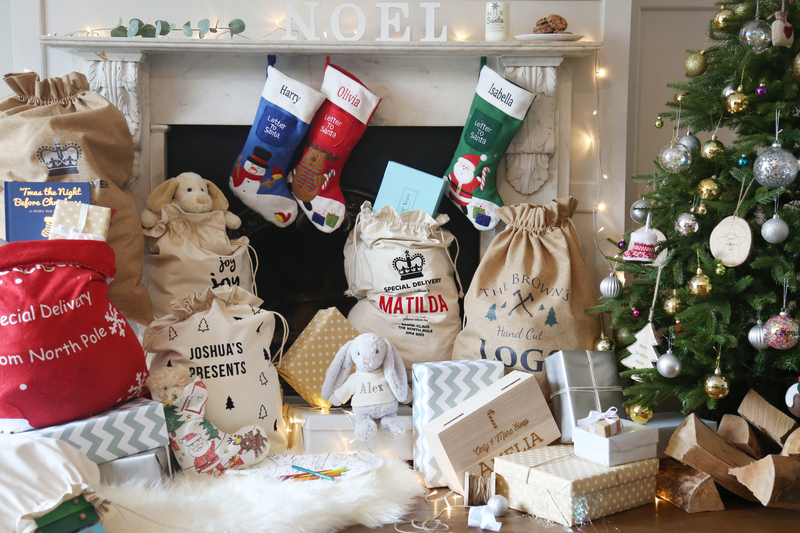 Discover stockings with their name on, outfits that sparkle and precious decorations that will allow you to #personaliseyourxmas. Christmas is a unique day to every family, whether you celebrate it on Christmas eve, eat from morning to evening or go to church, no two Christmases are alike. 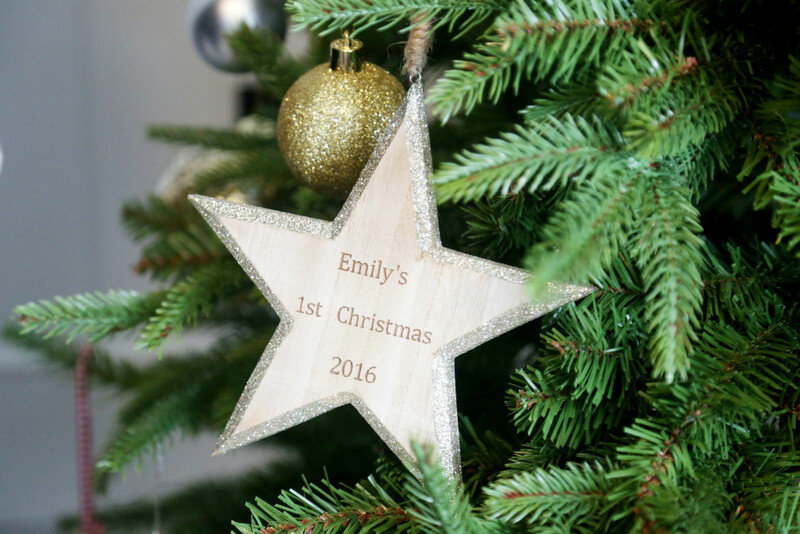 Here at My 1st Years, we think that is the awesome thing about the 25th of December and want to show you how to make your Christmas even more personal to you, using our beautiful Christmas-themed pieces. Their first taste of Puréed brussels sprouts, the fascination with wrapping paper and boxes and of course the festive outfit you dress them in, first Christmases are a special time. 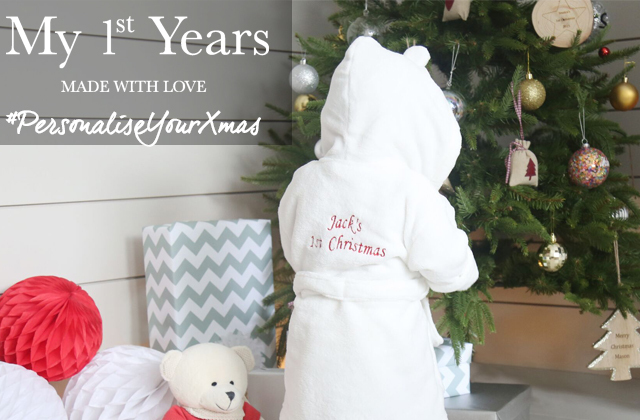 Whether they’re a week old or almost one celebrating your tiny tot’s first ever trip from Santa is an exciting time, and we have the perfect pieces to add to your celebration. 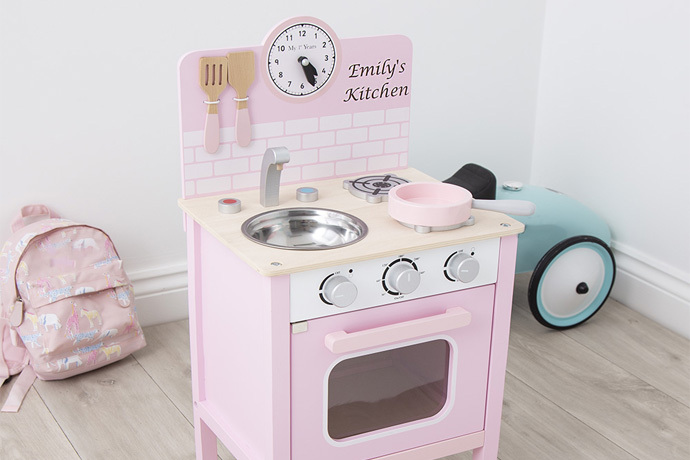 Discover outfits, decorations, toys and more all with that personalised touch. 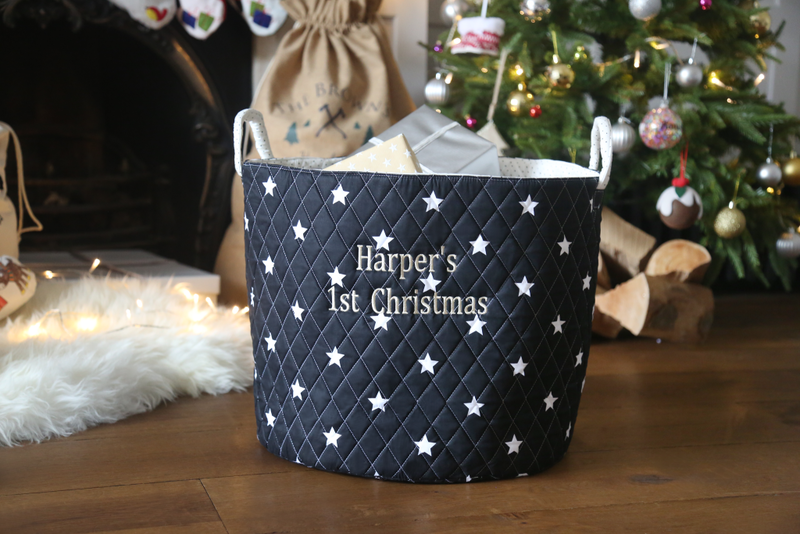 Father Christmas always delivers gifts in style, give him a helping hand with our luxe Christmas sacks and stockings. From modern and minimal monochrome prints to traditional felt stockings, there is something to match your décor and personal taste. 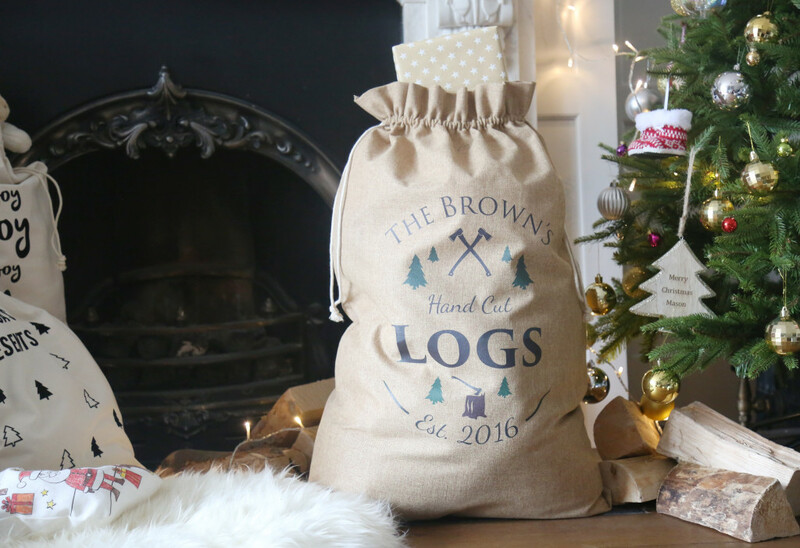 Personalise your sack and stocking for free to make sure only kids who have been good all year get their gifts. From their all-important nursery parties to Christmas day itself, December is all about looking the part. Whether they’re taking their first steps in style with adorable reindeer booties or wear one of our festive bodysuits, we guarantee they’ll have an outfit that is unique to them. There is no better way to make your Christmas personalised than by adding unique trinkets to your tree. Whether you opt for the traditional reds, greens and golds or a modern metallic theme our beautiful selection of decorations look simply adorable. 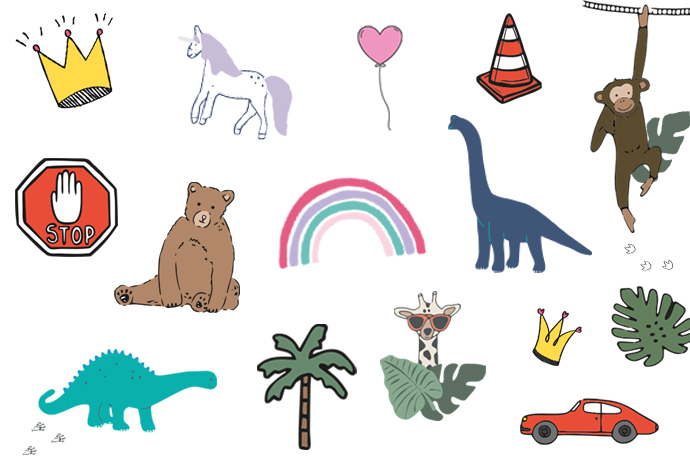 Add your family or child’s name to make these an extra-special keepsake you’ll be pulling out year after year!